The IRS recently announced a program that will give small tax-exempt organizations, which have been delinquent in filing annual information returns, another chance to comply with the law and avoid losing their tax-exempt status. The one-time relief program provides small tax-exempt organizations until October 15, 2010 to comply with the annual filing requirements. While this program provides relief to small organizations, which are eligible to file either Form 990-N or Form 990-EZ, it is not available to larger public charities, which are required to file Form 990, or to private foundations, which must file Form 990-PF. Click here to read the full article on nixonpeabody.com. The program will focus on the relationship between the Executive Director and their board of directors, including the role of the ED and how he or she supports and works with the board. The panel will first discuss some general questions, and then break out into smaller groups by organizational budget to discuss questions from participants. The Leatherstocking AEA encourages area Executive Directors to attend with a board officer or member. Have you ever asked any of these questions of your nonprofit ED or board? Discussed next program meeting, originally set for September 8th. • Defining what this means and what makes it up. New Study: Who Gives, Why do They Give, How do They Give to Nonprofits? Interviews are available with McIntyre, Russ Reid President and CEO Tom Harrison, Executive Vice President Alan Hall, and Ron Sellers of Grey Matter. To schedule, contact Steve Ruppe or Alison Rienas at the numbers above. Go to www.HeartoftheDonor.com, for additional information. The boards of directors of The Cook Foundation and the Otsego Land Trust have approved a merger of the two not-for-profit organizations. Under the terms of the merger agreement, The Cook Foundation will transfer all of its assets, including the 22-acre Brookwood property, to the Land Trust. The agreement is still subject to the approval of the Attorney General and confirmation by the New York State Supreme Court. The Cook Foundation was established in 1985 by Bob Cook, who donated his family’s Brookwood property to the Foundation. The property has a main house, parts of which date back to the early 1800’s, a garden house, extensive gardens, wetlands, flood plains, and over a quarter mile of frontage on Otsego Lake. In addition, the Foundation holds conservation easements on approximately 110 acres of land (unrelated to Brookwood) in the Otsego Lake watershed. When the merger is finalized, the Otsego Land Trust conservation holdings in this watershed will total over 975 acres. “We will be asking for public input in looking at the potential for the property,” Mr. Levine said. Land Trust board member, Francis Nolan, will be chairing a committee to address the opportunities and obligations of the property. This committee will include members of the public and will be charged with advising the Land Trust board about the property. 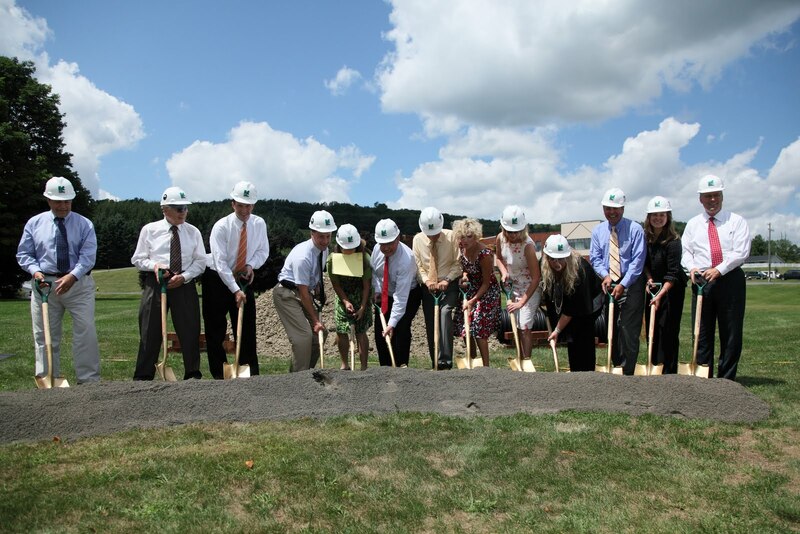 “Otsego Land Trust recognizes the longstanding and thoughtful efforts of The Cook Foundation. We are excited about planning for the future of this wonderful property. My sincere hope is that the community will provide the support necessary for us to be good stewards,” Mr. Levine said. The merger agreement provides that Otsego Land Trust will be the surviving entity. Three members of The Cook Foundation Board of Trustees will become members of the Land Trust Board of Directors bringing the board up to 19 directors. Remaining trustees will join an advisory committee to provide assistance. The Land Trust will establish a designated fund to be named for Bob Cook and to be used exclusively for the purposes he set out when he created The Cook Foundation. Some 40 percent of participants reported that contributions to their organizations dropped between January 1 and May 31, 2010, compared to the same period a year earlier. Eight percent indicated that their organizations were in imminent danger of closing. Sixty-three percent reported a total increase in demand for their organization's services between January 1, 2010 and May 31, 2010, compared to the same period a year prior. Read all of the survey's findings here, for free:"The Effect of the Economy on the Nonprofit Sector." As you know, the legal and ethical issues surrounding unpaid internships have been highly debated in recent months. With your input, NACE is addressing this issue. I am happy to share with you NACE’s Position Statement on Unpaid Internships. I will also highlight some of the work we have done surrounding this issue, and detail the information and resources we will provide to you in the near future. One of our key goals while developing a position statement was to engage our members in the process. In May, we conducted a national survey of employer and college members to gain insight into their internship practices and thoughts on unpaid internships. (Click here for the executive summary of the survey.) Furthermore, we held a roundtable on the topic during the NACE 2010 Annual Conference earlier this month. Internships provide unique and valuable experiences for students both academically and in professional career preparation. The term “internship” encompasses many different program models (i.e. paid and unpaid; full time and part time; of varying length; as a required part of an academic curriculum or as a course option; for academic credit or no credit). The broad use of this term to cover diverse circumstances makes it difficult to apply common and consistent standards, guidelines, and applicable policies. Internships exist or can exist in literally every kind of business, industry, organization, and sector—both public and private. What constitutes an internship is determined in the final analysis by the student’s college or university and the employer. Internship programs should ideally involve a close partnership between the university, the participating student, and the employer in which all accrue some form of benefit. The federal and state governments have significant roles in providing and enforcing laws and guidelines to protect the interests of both employers and employees in the workplace. Unpaid internships in the not-for-profit sector reflect the fiscal realities and limitations for organizations in that sector and are acknowledged accordingly in current Department of Labor guidelines and enforcement practices. All interns, regardless of their compensation, should enjoy similar basic protections in the work setting consistent with all laws, ethical considerations, and sound business practices. Going forward, NACE will provide you with the latest information and resources, and keep you apprised of developments concerning unpaid internships. A virtual seminar on the topic is planned for July 26 (details to come). In addition, NACE legal advisers are developing an FAQ document to assist members in their work with interns and internships; we expect to release this resource shortly, and will notify you when it is available. I appreciate the feedback we received from you, our members, as a result of our survey on the issue. Your input is guiding our response to this important issue. Thank you for your participation. Turning 40 can be tough. For the Upper Catskill Community Council of the Arts, its 40th year of existence has been brutal. If UCCCA Board President and CEO Linda MacKenzie-Ranc is to be believed, the organization may not survive to see 41. Since the departure of executive director Kathleen Frascatore in June 2009, the organization has suffered what we feel justified in calling a crisis of leadership. In fact, the plural “crises” might be more accurate. Cheri Albrecht sat in as interim executive director _ very capably, by all accounts _ for the better part of a year before a permanent executive director was hired in March. Sara Hammonds lasted about 40 days before leaving the post. A new interim executive director, Scott Ward, hung in there for almost twice as long, but he also left. Little has been said publicly about this leadership roller-coaster. Hammonds cited “irreconcilable differences” in her departure; Ward, “personal reasons.” Neither of those euphemisms helps us understand why, as MacKenzie-Ranc indicated in July, the organization has found itself struggling for survival. For 40 years, UCCCA has anchored the local arts community in many ways. The Wilber Mansion has hosted exhibits featuring professional artists of the highest caliber alongside the work of local students. Its staff has led workshops where our children can go to have fun, as well as offering serious educational opportunities for burgeoning artists to hone their skills. Besides the traditional fine arts it has facilitated, UCCCA has presented film festivals, hosted exhibits of floral art and even started a chili cook-off. UCCCA has also played a vital role by disbursing thousands of dollars in support and grant money to local artists, schools, nonprofit organizations and projects. For all those reasons and more, we would like to answer MacKenzie-Ranc’s plea for help. But we need more information. If UCCCA needs volunteers, tell us where and when to show up. If it needs donations, tell us how much. More importantly, tell us what led to these problems, and what the community can do to help remedy them. The organization is now functioning without an executive director and without any paid staff, so we appreciate that the situation is dire. But we feel we are owed more in the way of explanations. While UCCCA is a private institution, it has a very public role, not only through the programs it presents, but also because of the taxpayer money it handles. By communicating more effectively with the community, UCCCA will be taking an important step toward another 40 years _ and hopefully more _ of keeping the arts alive in the Oneonta area. 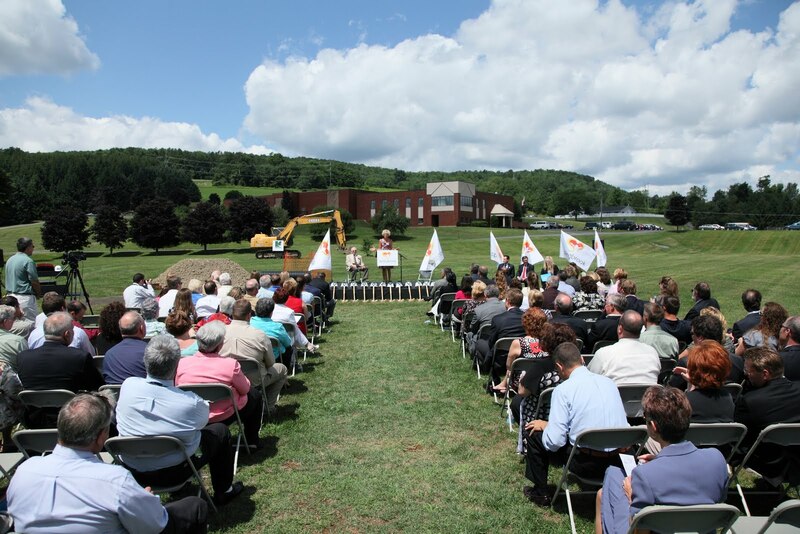 Springbrook held a groundbreaking for a proposed school for autistic children that will create 112 jobs, fuel the local economy and provide instruction and care for pupils sent to other states for services. This is a $20 million expansion project. · behind schedule and over budget? · wondering what to do? AM&T is offering an 8-hour, "train and do", workshop to introduce the basics of Project Management. The training includes classroom presentation and exercises on how to organize and manage projects and bring them to a close - on time and on budget. This training is for anyone with project leadership responsibilities, whether new or in need of a refresher. Course materials are based on methods described in the Program Management Body of Knowledge (PMBOK), published by the Program Management Institute (PMI). During these challenging times, your nonprofit's management and governance are critical to the success and sustainability of your organization. With this in mind, NYCON would like to help identify your greatest challenges. Please complete this survey and share your candid feedback. Your input will be used to plan and implement a simple fall nonprofit forum. Feel free to share this survey with your colleagues or boards of directors. Your phones will be muted during the panel presentations and will turned on when the panel is open for discussion. If you have Codecs and want to be active participants via ISDN or IP, that can be arranged as well. Non-medical use of prescription pain relievers rose 111 percent between 2004 and 2008, according to a new study by the Substance Abuse and Mental Health Services Administrations (SAMHSA) and the Centers for Disease Control and Prevention (CDC). In Rensselaer County 4 youth died between September 2009 and April 2010 from abusing prescription pain medications. This CME program is geared to assist medical personnel who prescribe prescription pain medications assure they are not abused by youth and adults. The training will be offered in four venues: at the Medical College, by video conference and webcast live and an archive stream provided by the Adirondack Area Network. Participants in the webcast will be able to call in and ask questions during the presentation.